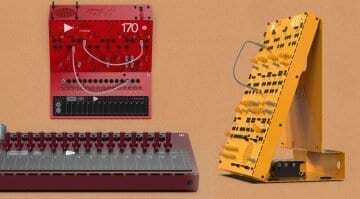 STG Soundlabs was showing their first ever oscillator called the “.VCO” (dot-VCO) and are planning to release a compact Eurorack system called the Radiophonic 1. They also have a cool power supply and bus connectors for discarded Mother-32 cases called Boatrocker. There’s always room for another oscillator and with the .VCO STG believes they’ve got something a bit different. It generates the usual three waveforms and operates at 1v/oct but they’ve done something interesting with the tuning and added some modulation. The tuning, rather than having coarse and fine tuning knobs instead they’ve gone for an octave knob which denotes the range and a semi-tone knob to move within that range. There’s also a free flowing detuning knob for tuning either between semitones or across all octaves depending on the Range setting. So it sort of has every way of doing. 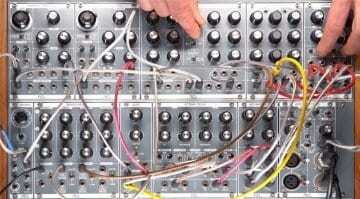 Personally I think a semi-tone knob is a very useful feature and every VCO should have one. 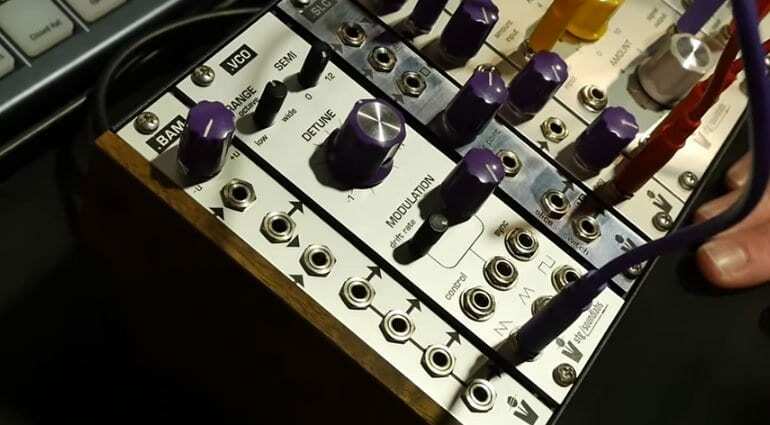 On the modulation side it has something called “Drift Modulation” which you would probably assume messes with the tuning a little bit in order to emulate the terrible tuning abilities of vintage gear. 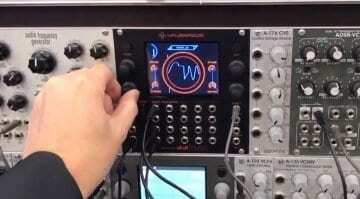 In fact it’s a random bipolar linear function generator with smoothing. They say it moves very slowly and then squiggles very quickly. It randomly takes a distance from the current pitch and selects a random time of how long it will take to get there. It can drift anywhere up to an octave which makes you wonder why they spend so much time on the tuning section. But put a couple of these together and imagine the detuning possibilities. Sounds like fun. This is a collection of STG modules in a 60HP case and offered with the rather presumptuous name of Radiophonic 1. 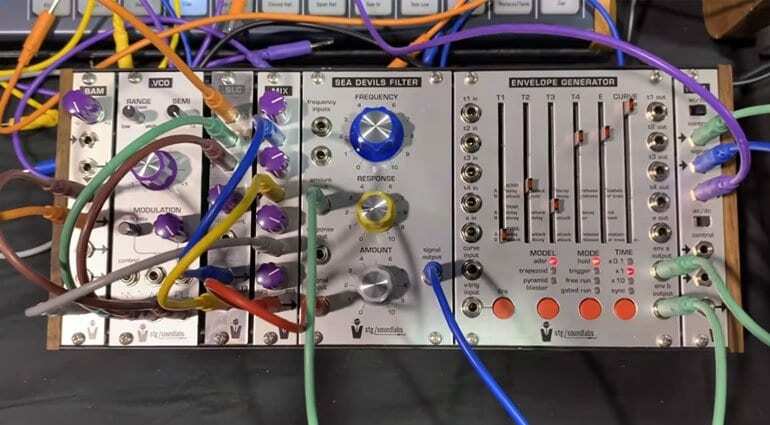 You get the new .VCO, the .VCA, the complex Envelope Generator and Sea Devils Filter based on EMS designs, the .Mix (based on Moog CP3), the .SLC Wave Slicer which splices two waveforms together using another waveform, and finally the .BAM buffered mult. Should be ready by the summer. The Moog Mother-32 is one of the most popular semi-modular synthesizers around. It has the added bonus of being able to drop straight into a larger Eurorack case which is what many people do. STG had a spark of inspiration and thought what do people do with all those spare Mother-32 60HP cases that they aren’t using? 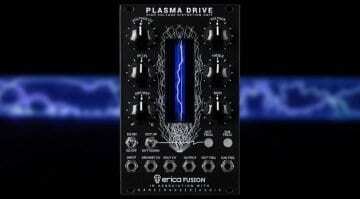 Well the simple answer is that you add a TipTop uZeus power supply and off you go. STG’s answer is to build an internal power supply with 10 port power bus strip. It also includes STG Sync Bus connectors and has din sync output. It nestles up nicely with the existing holes on the back and is quite a neat solution. 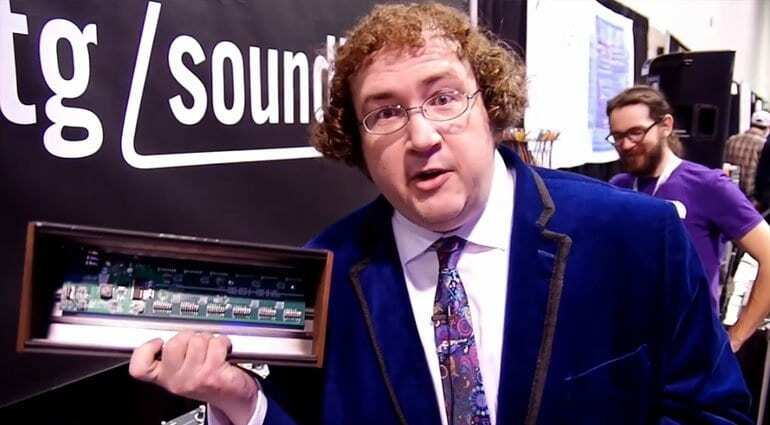 STG (Suit ‘n’ Tie Guy) is also the force behind the KnobCon convention in Chicago which they keep claiming in the videos is the “only synthesizer show in the world”. I guess they haven’t been to Superbooth, or SynthFest, or Moogfest, or Tokyo or…. etc etc (sigh). I’d like to think they’re kidding but the way the world is these days who knows?